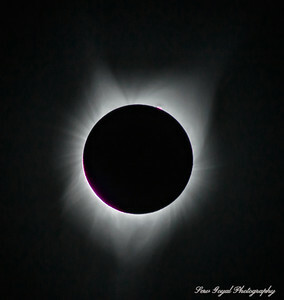 This is what usually runs through a photographer’s mind moments before totality begins. 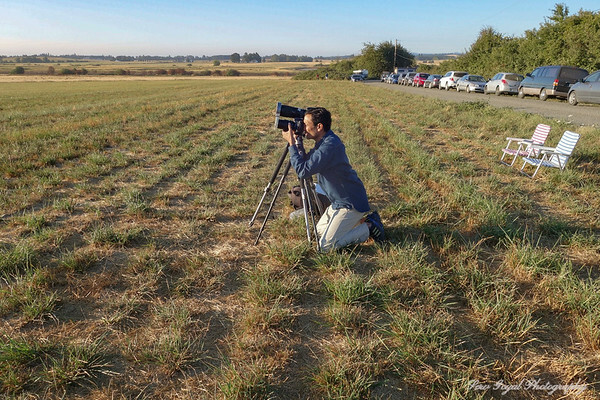 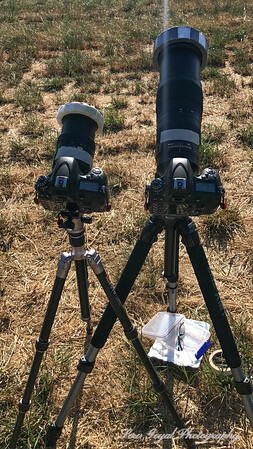 Even for experienced solar eclipse photographers. 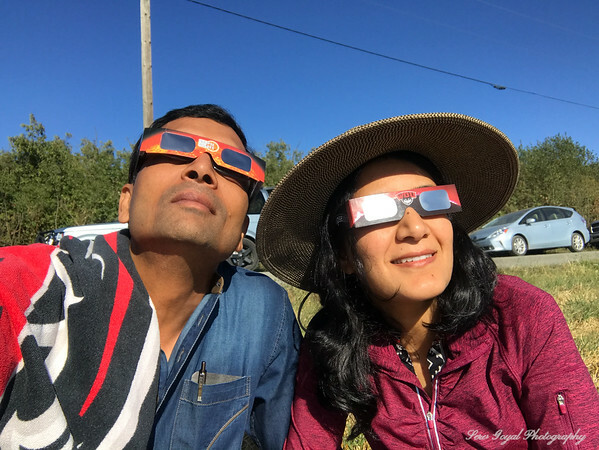 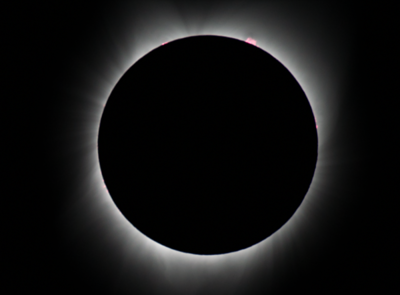 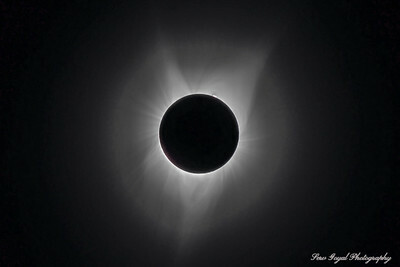 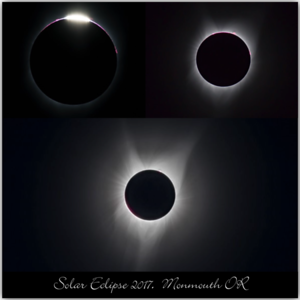 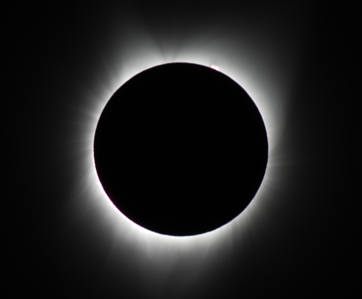 My wife Shalini and I went to Salem Oregon to watch the Totality of Solar Eclipse, and it was magnificent. 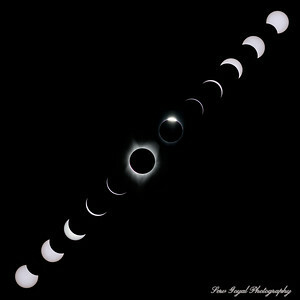 My first attempt at a composite capturing the 2.5 Hrs. 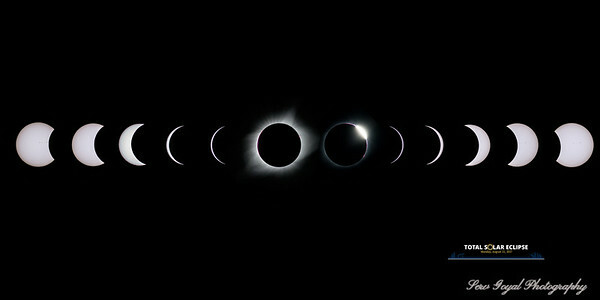 of Eclipse action. 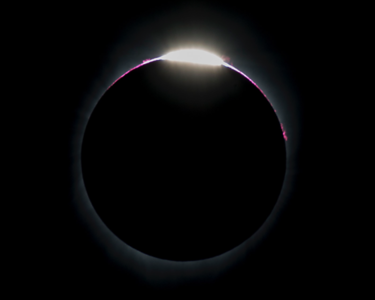 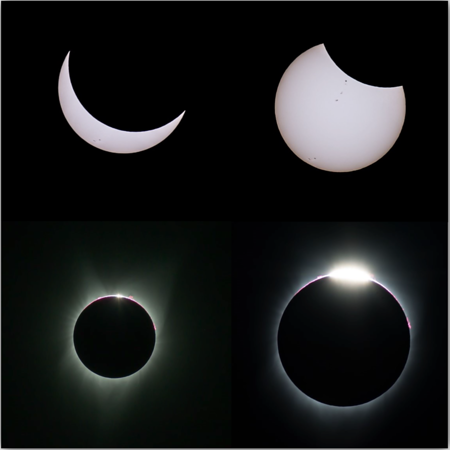 The prominance and diamond ring effect is seen in the center.